Nha Trang, Vietnam, has been so long called The Pearl of the Far East, is more and more crowded with tourists throughout the year. 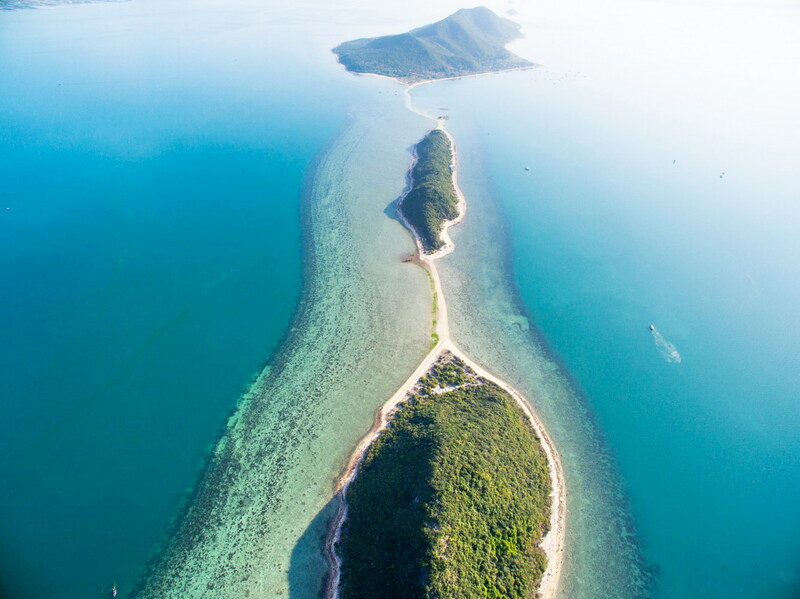 Nha Trang (of Khanh Hoa province) possesses the most beautiful coastline in Vietnam with white sand and cyan sea, and is home to thousands of coral species and small fishes. Not stopping at that, Nha Trang has its beauty in its forests, mountains, lakes and also develop its modern city life. That is the reason why there are innumerable activities you could join without worrying what to see in Nha Trang. 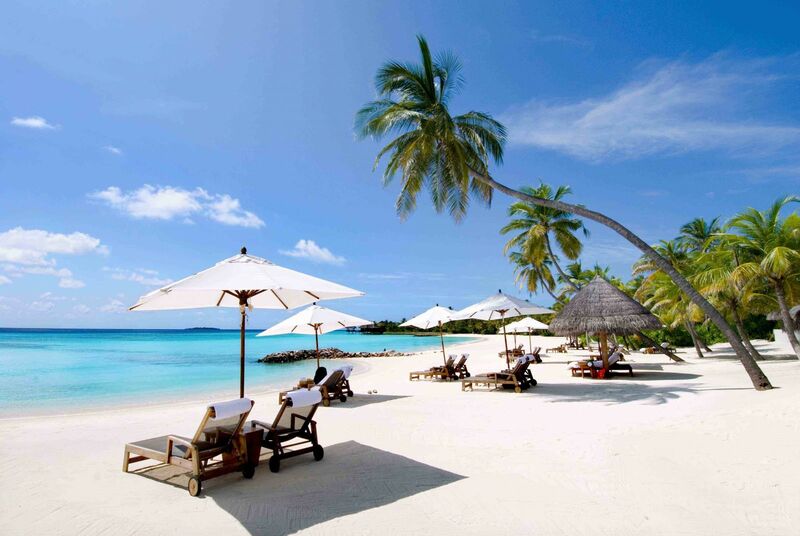 With its beautiful beaches, Nha Trang has a lot to offer to tourists with onshore and offshore activities. It is more than just great when spending your time offshore in such beautiful natural places. 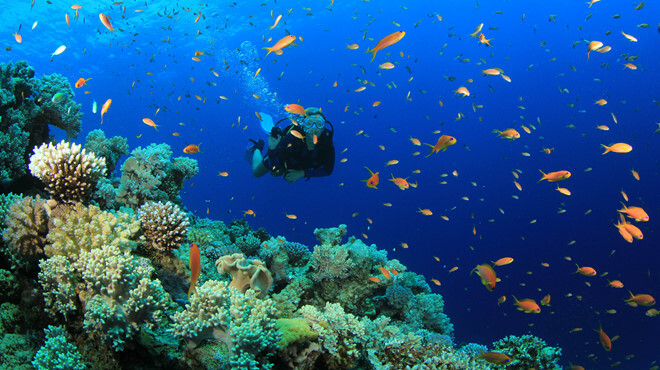 Although scuba diving is not a hot sport in Vietnam but scuba diving activities in Nha Trang is among the most popular activities. Searching for scuba diving day tours in Nha Trang, uncountable results (organic and sponsored) will be displayed just in a second. Wanting to go to scuba diving without any basic knowledge of diving? Don’t worry, there are diving schools with PADI courses (PADI: Professional Association of Diving Instructors, the world’s leading scuba diver training organization.) 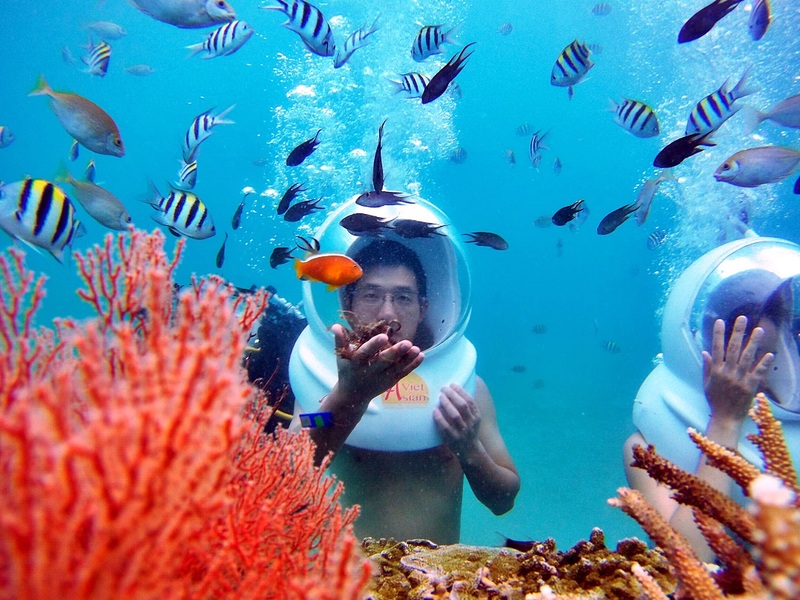 which enable tourists to explore the underwater in Nha Trang safely with the basis of diving. Even when you are having more money to spend and more time to stay, if you want to have a PADI certificate, there are quite a lot of certified diving schools that offers PADI courses and gives you PADI Certificate after the course. Nha trang has all hustle and bustle activities of a busy modern city, from amused entertaining, colorful souvenir shops for travelers, to delicious specialties, street food and stunning attractions onshore. Tourists can easily get information from the internet. Among various activities of all kind in Nha Trang, we, Saigon Riders, would love to recommend you an extraordinary thing to see in Nha Trang. 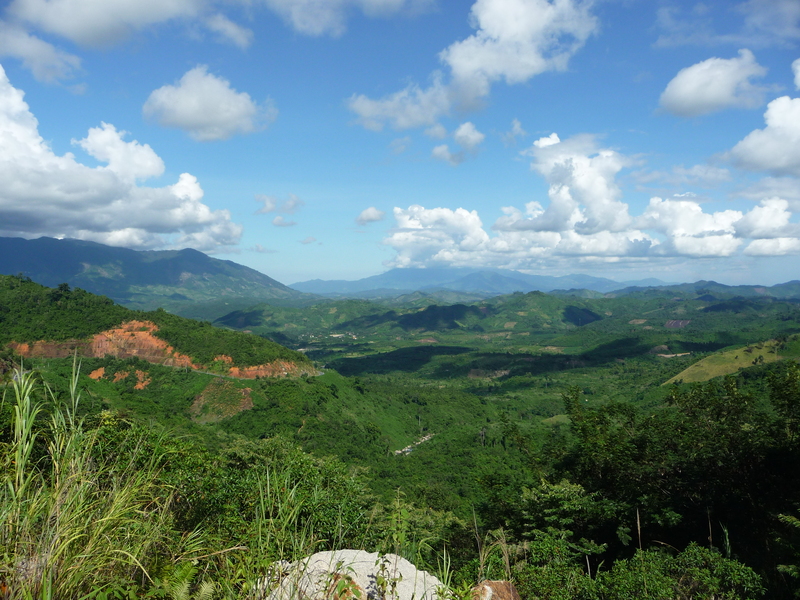 If you are the ones who love experiences travelling on motorbike, going to explore a new place, enjoy the great of nature, then the Nha Trang to Da Lat motorbike tour appears as an ideal selection for you. 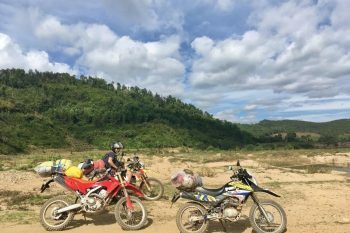 It is shared among the tourists who have joined this tour that the trip from Nha Trang to Da Lat on motorbike is the most scenic road they have taken. The panoramic views to a valley with cloudy skies take all your breath. It’s just incredible! 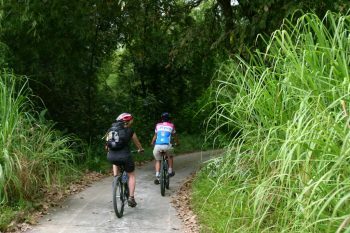 A bit more challenging, travelers can also book a Nha Trang self ride tour to Da Lat which they will self-ride the motorbike. 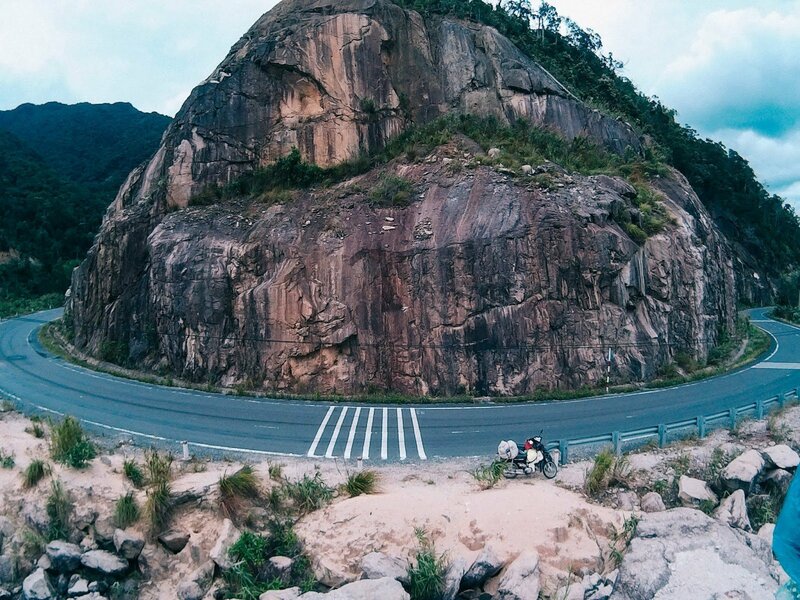 The tour operator will depend on tourists’ riding proficiency and preferences to offer suitable types of motorbikes: auto-motorbike, semi-auto motorbike, above-150cc motorbikes, etc. If you travel in a group, then the most common combination of the service is booking both self-riding and sitting-behind-the-guide service for the whole team, some will ride, some will stay behind the riders, especially when there are females in the teams. 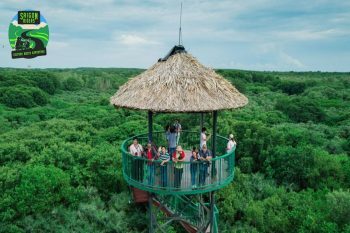 In short, there are many adventure activities and services offered in Nha Trang for you to discover during the whole week. Yet, there are two extraordinary activities suggested in this sharing that makes your trip to Nha Trang significant. We hope you enjoy your time and share your best moments with us. Last but not least, we are waiting to be contacted for a motorbike tour, wherever in Vietnam that you would want to see on motorbikes.